DashesDirect has been manufacturing duplicate original equipment restoration products in the USA since 1984. Our goal is to provide premium quality reproductions of original products using state of the. 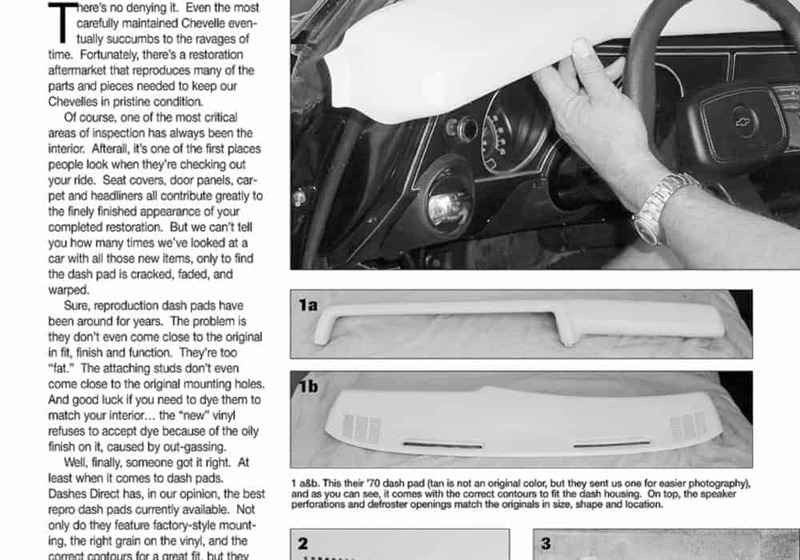 In 2000 Ford Motor Company contacted Dashes Direct and entered into an agreement that Dashes Direct would manufacture new replacement dash pads using “Original Ford Tooling” that came directly. 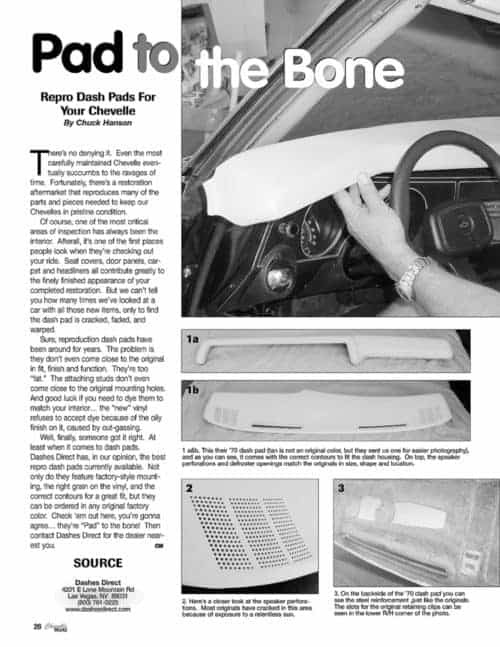 Repro Dash Pads for Your Chevelle by Chuck Hanson …Well, finally, someone got it right. At least when it comes to dash pads. DashesDirect has, in our opinion, the.